Evaluation: Wagner is a raw but talented post with excellent length and good athleticism. He plays with a high motor and excels in the shot-blocking game. Wagner is a lean athlete who can get off the floor quickly, and multiple times, to alter shots, rebound, and score. His offensive game does not rely on skill yet, he gets most of his points on garbage buckets and rebounds. Really runs the floor well, and with some continued skill development can become an excellent high-low post prospect. 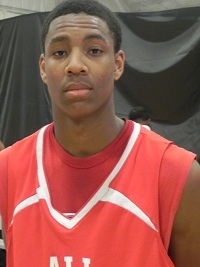 Bottom Line: One of the top post prospects in Ohio’s 2015 class, Wagner should be recruited early at the mid-major level.